Get pumped up with richer graphics brought by 10-bits of color depth, Rec.709 and standard RGB color space (sRGB), and 2560x1440 resolution. You’ll have more than 1 billion colors to work with astonishing precision. Creatives and designers can now enjoy a smoother workflow by using one of the three display modes (Darkroom, CAD/CAM and Animation) that accentuate the details of images, making it easier for editing, creating, and visualizing. Preserve the true colors you captured with PD2700Q’s 100% sRGB color space, providing you with brighter, accurate and consistent colors, whether you're working on digital images for sharing your photos or publishing on the web. Capture the moment and never let it fade away. 2K QHD (2560x1440) resolution offers extraordinary clarity of fine details and depth of subtle textures optimized for visually intensive work in animation, visual effects, graphics, and photos. PD2700Q is equipped with IPS technology offering a wider viewing angle (178° in both horizontal and vertical planes) to users with exceptional clarity and vivid image quality in all angles. Work with 100% sRGB and Rec. 709 color space where more than 1 billion vibrant colors are accurately reproduced on the screen for professional photo editing and image viewing. 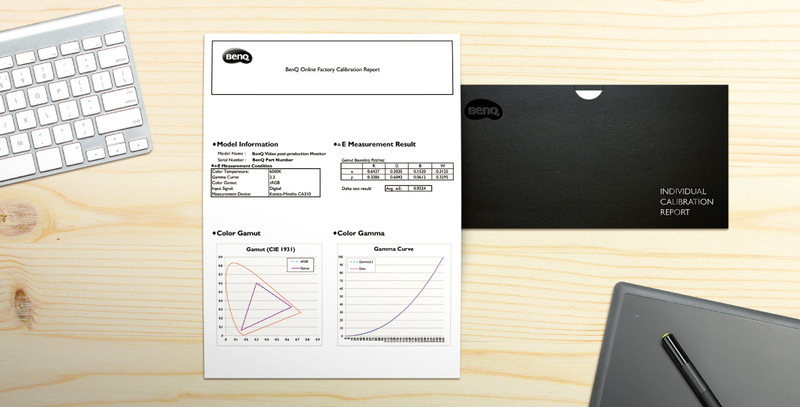 Each BenQ Designer Monitor is individually factory-calibrated upon production to assure precise Delta-E and Gamma performance. Calibration results are validated against industry color standards to deliver the truest and most representative view of original content. Technicolor Color Certification meets strict color standards widely used in Hollywood and entertainment industries. 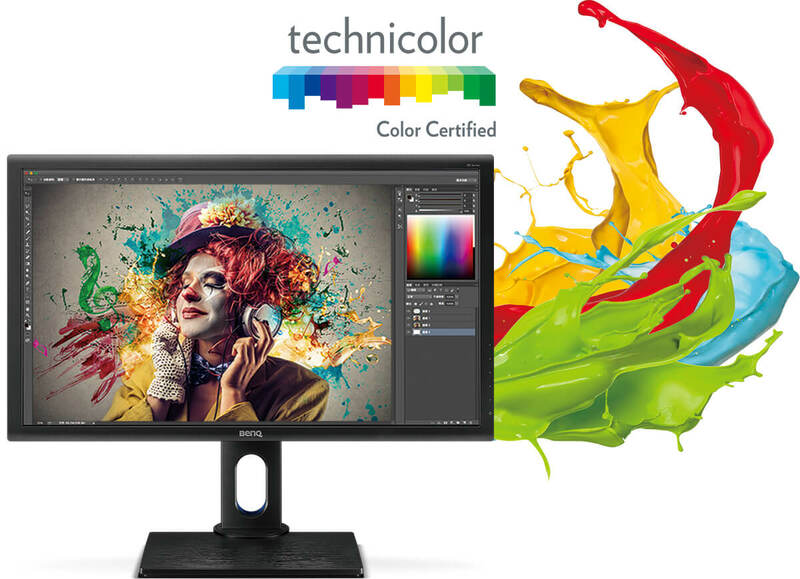 All BenQ PD Series Designer Monitors are Technicolor Color Certified, ensuring consistent and accurate colors for impressive performance in broadcast, film, animation, and entertainment applications. The Darkroom mode adjusts the brightness and contrast of images giving clarity and sharpness to details, creating the optimal setting for work in darker post-processing environments. Never miss a detail again! Revolutionary CAD/CAM mode offers superior image contrast, allowing for lines and shapes of technical illustrations to stand out. Incredible display performance is best paired with Pro/E, SOLIDWORKS, AutoCAD, CATIA, and other CAD/CAM software solutions. Often problematic for designers working with intricate details in dark images, Animation mode enhances the brightness of dark areas without overexposing bright regions. Animation mode provides 10 levels of display brightness to bring out every subtlety clearly in any ambient lighting.